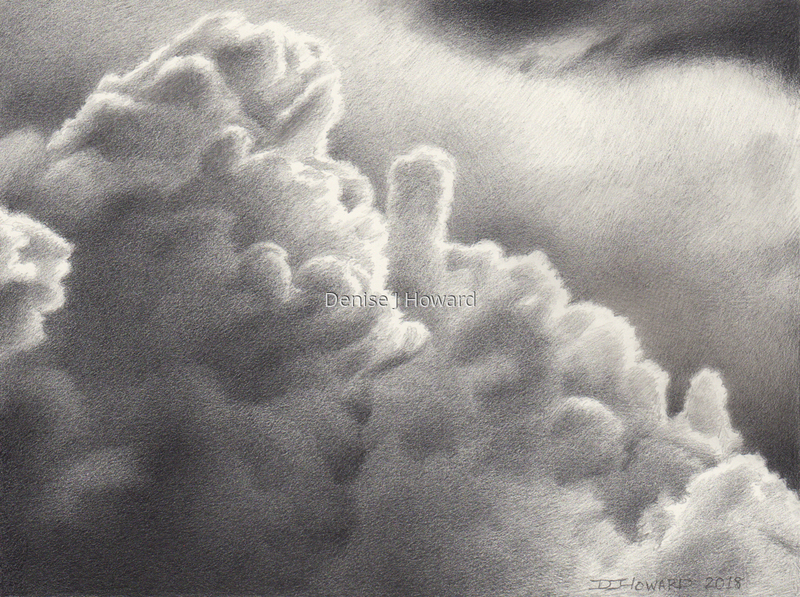 A smaller version of this thunderstorm, graphite on Ampersand Claybord. This surface is rigid, varnished, and permanently sealed so that it requires no glass or further covering. It is light-safe and can be treated exactly as an oil painting would be treated. 5" x 6.75"6" x 8"7" x 9.5"8" x 10.75"